Last week we learned about the importance of employer-provided benefits when it comes to attracting and retaining talented workers. 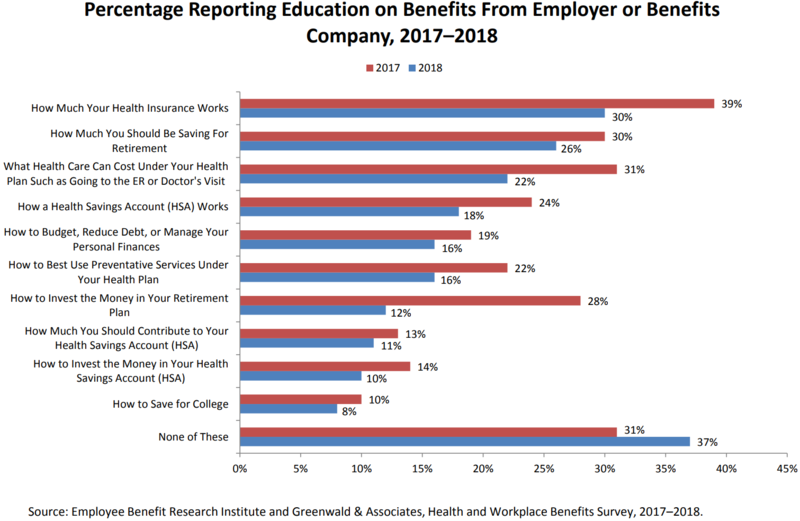 The EBRI study we looked at encouragingly showed that a majority of companies now offer workers access to health insurance, a retirement savings plan, and various other benefits, but the report also revealed that an alarming number of employees lack a thorough understanding of what is available to them. 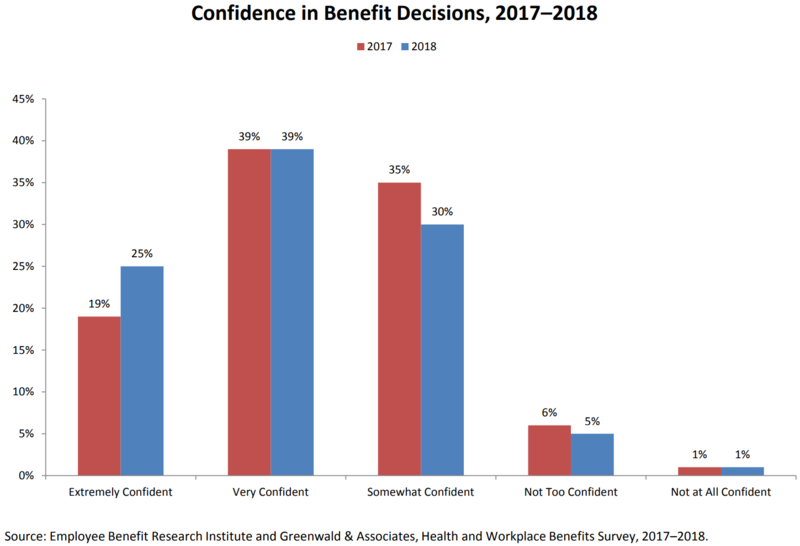 For example, only around half (51 percent) of surveyed workers said that they understand their retirement and other non-health benefits “very or extremely” well, and just 64 percent expressed a similar level of confidence in their ability to make optimal benefits decisions. 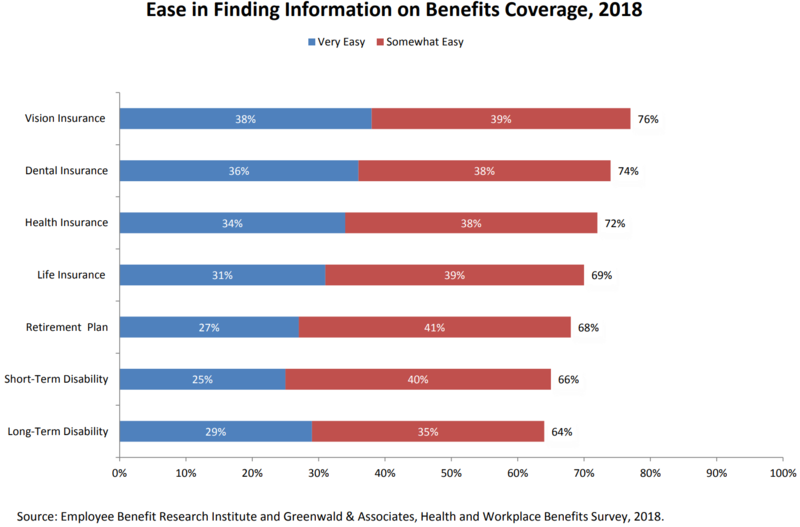 Around the same proportion of respondents said that they feel it is at least “somewhat easy” to find needed information about their workplace benefits, suggesting that employers play a big role in making sure that workers are informed about available benefits. An earlier study by Guardian Life similarly found that even though 80 percent of surveyed U.S. workers said that they believe they understand their benefits offerings “very well,” less than half (49 percent) could correctly answer at least eight out of ten True or False questions about their current benefits. Further, a PlanVision poll found that 96 percent of working Americans want personal guidance during the 401(k) enrollment process, and 88 percent prefer that this occurs in the form of one-on-one assistance. That is not surprising since one in ten respondents admitted to having “no understanding” of investing at all, and another 34 percent said they have only a “limited understanding.” Even for the one in three workers who said that they understand investing “reasonably well,” a majority said they would still like some additional guidance from their employer. 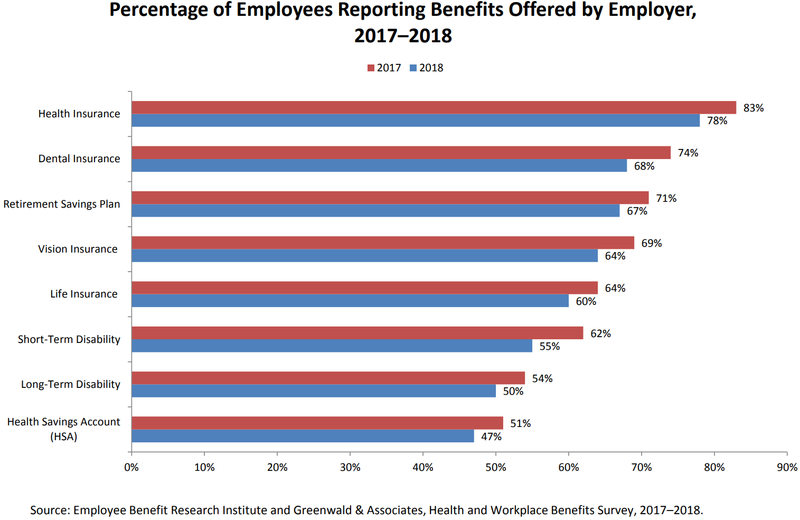 The use of benefits jargon is another problem, according to a new Empower report which found that around three-quarters of surveyed U.S. workers find terms such as “defined contribution retirement plan,” “Social Security optimization,” and “registered investment advisor” to be unclear. 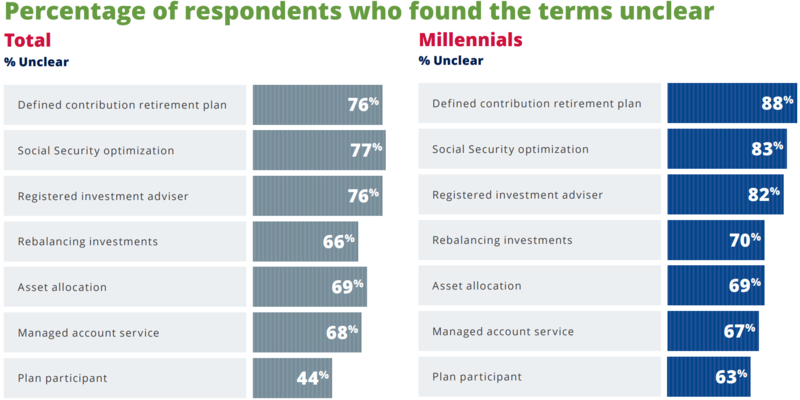 Younger workers were especially unfamiliar with common benefits terms and more likely to describe the retirement plan communications they have received as being verbose and confusing. Many companies are aware of the need for better benefits communication and have responded by trying to incorporate it into their broader financial wellness programs. 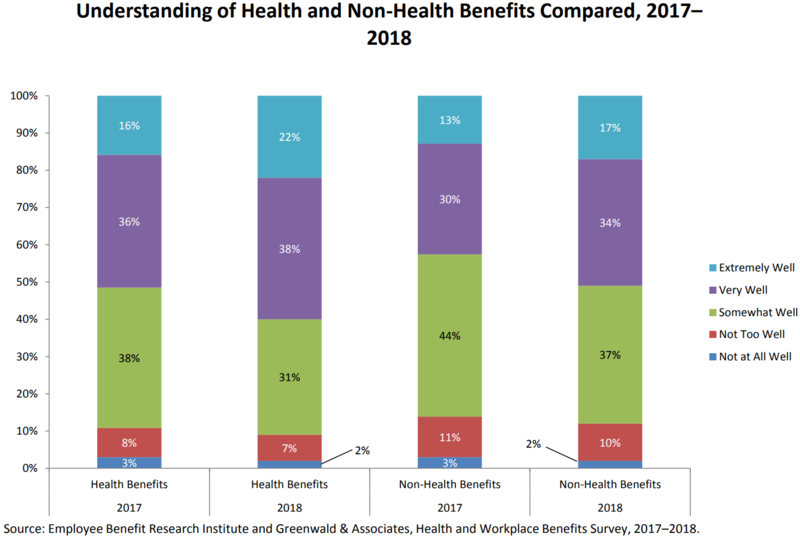 Clearly there is still a lot of room for improvement, though, because not even a third of the workers in the EBRI survey said that their employer has taken any steps to thoroughly educate them about their available benefits, e.g. providing more details on what their health insurance covers or how to invest money in the company’s retirement plan.